HatchiBabies have arrived — and they have so many surprises for you! To find out who's inside, hug, tap, snuggle and pat your HatchiBaby's egg. When they hear you, they'll respond with cute sounds! The more you play with these forever babies, the more EGGcited they get. 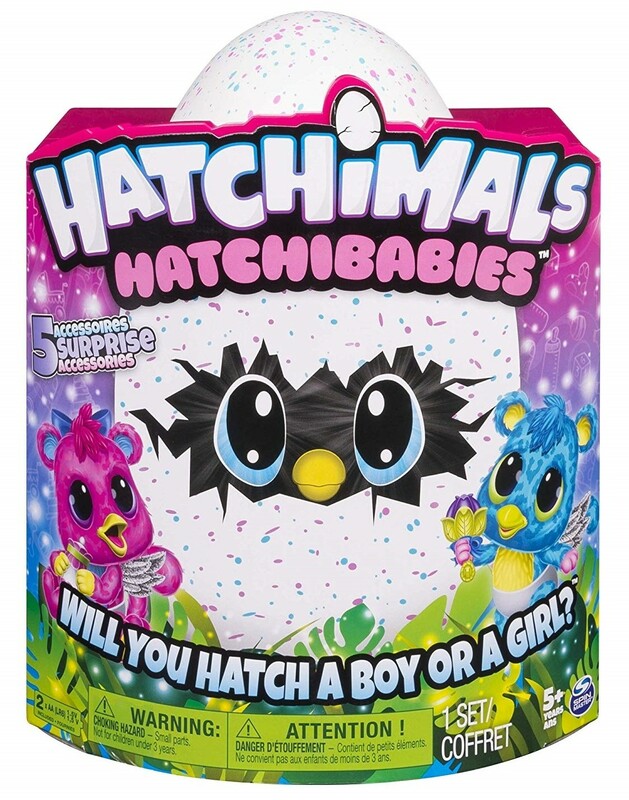 When you see rainbow eyes shine through the shell, you'll know your HatchiBaby is ready to hatch — but they can't do it without you. 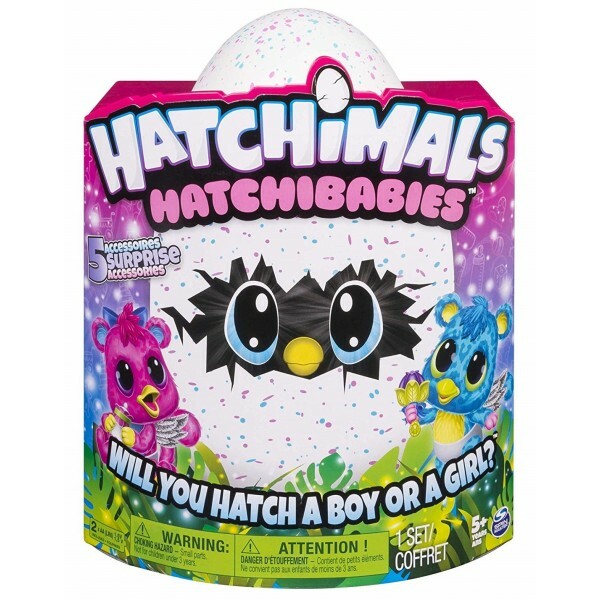 Rub the egg to encourage them, and peel back the shell — the secret message inside will reveal if you've hatched a hatchiboy or hatchigirl. Once your HatchiBaby is out of its shell, it comes to life! 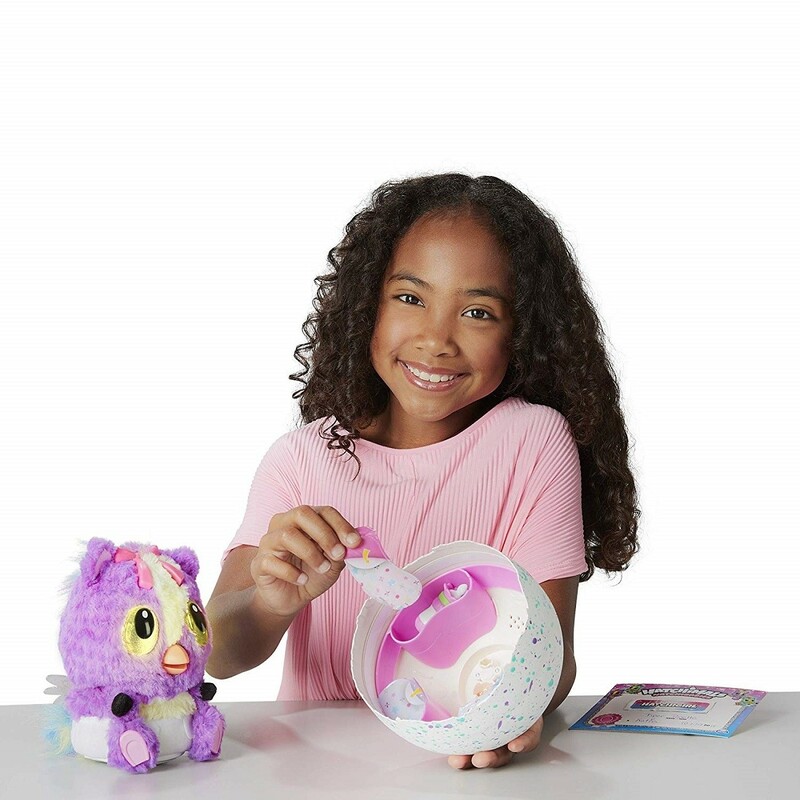 Now you can reach into the shell, lift out the highchair, and peel-to-reveal four hidden interactive accessories you can use to feed, burp, tickle and snuggle your baby. Teach your baby to talk or play new games like "peek-a-boo" — the more you play, the more responses you'll unlock!